There won’t be anymore OpTic vs. Envy matchups in Halo esports. Another well-known esports organization has decided to move on from the competitive Halo scene. Team Envy has released its Halo roster and will no longer compete in the esport, the organization announced earlier today. Justin “Pistola” Deese, Jesse “bubudubu” Moeller, Joseph “TriPPPeY” Taylor, Tom “Saiyan” Wilson, and coach Emanuel “Hoaxer” Lovejoy will be looking for a new home moving forward. Team Envy first entered Halo esports in November 2015 with a lineup featuring Pistola. Since then, the organization has won a handful of tournaments in the scene, including ESL Burbank in December 2016 and UMG Daytona in May 2017. 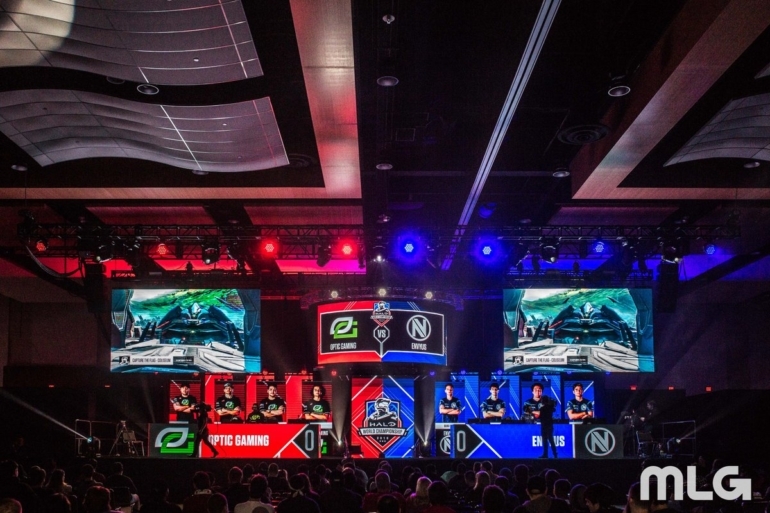 The latest Envy Halo lineup started competing for the Boys in Blue in February 2018—and they didn’t place lower than fourth at any tournament that they attended. Most recently, Pistola and crew came in third place at the 2018 Halo World Championship in March, taking home $100,000—Envy also earned a second-place finish at the 2017 Halo World Championship. Team Envy joins OpTic Gaming as the latest organization to leave the competitive Halo scene—the Green Wall departed from Halo esports on March 8 despite having one of the strongest rosters in the game’s history. Envy’s announcement said that the organization has “no plans to compete for the remainder of the 2018 season,” which leaves the door open for a potential return to Halo after this year. But with another big-name organization leaving the Halo scene, many fans will be left wondering what the future has in store for this once extremely-popular esport.